When start a cell phone accessory retail business in mall . A great design phone kiosk are so important.On the other hands , A nice design cell phone kiosk could be the key to business success. 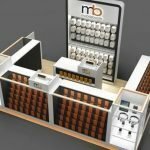 Here blow is a unique design cell phone accessory kiosk. With a lot of display showcase and counter ,you can easy display your thousands of different phone covers. Front counter is design with a cell phone fix desk. So you can also doing cell phone repair business. Shelves display and Racks inside the display showcase allow you have more storage space and display area. Most important element in this kiosk design is the color combination and material chosen. 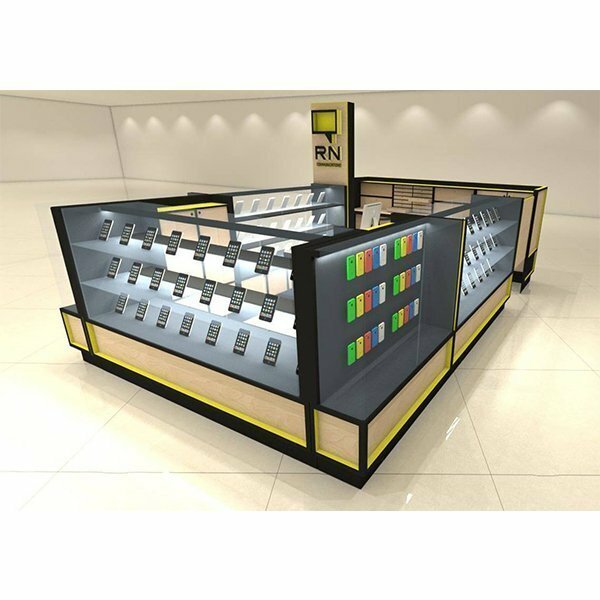 Black and yellow color made the whole kiosk in a bring and eye catching outlook. While wood textures lamination will bring us into a clean and natural world. So if you want to see more other views of this kiosk design or want to know the latest kiosk price . please feel free to contact me. 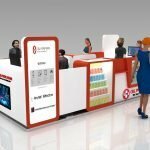 The biggest advantage of this kiosk design is that you can use both cell phone retail or accessory retail even cell phone screen repair . As a typical cell phone fix kiosk. This one can be a modular into any size you need.